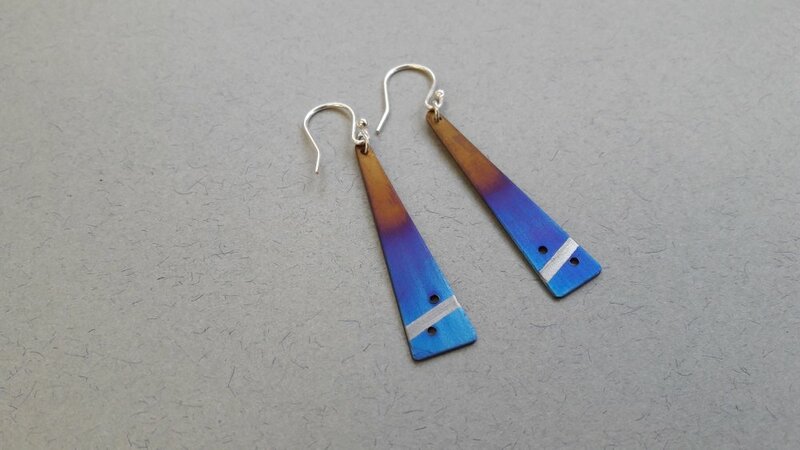 Titanium is a popular in contemporary jewellery because of its ability to take on beautiful, iridescent colour however it is a challenging material to work with as it is incredibly tough and cannot be soldered using traditional methods. During this workshop, students will be taught how to work with titanium including saw piercing and making cold connections such as rivet joints. Working with sheet metal and wire, a simple project, for example a pendant, will be made and finished with heat-colouring which achieves a brightly coloured, oxide layer that is completely stable. 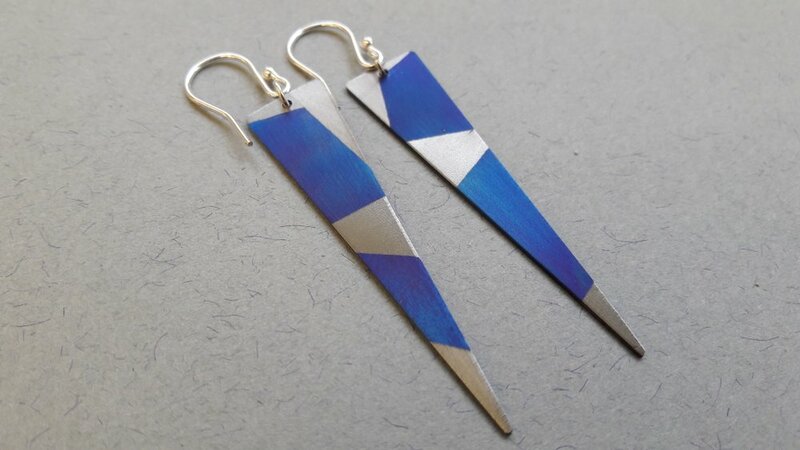 This workshop is suitable for both beginners and more experienced students who wish to learn a new technique for bring colour into their jewellery projects. All tools and materials are provided with the exception of silver which can be purchased at cost price from the School. 9:30am – 4:30 pm with a break for lunch. Lunch is not provided but you are welcome to bring a lunch to eat in the studio or we can recommend places nearby where you can buy a lunch.